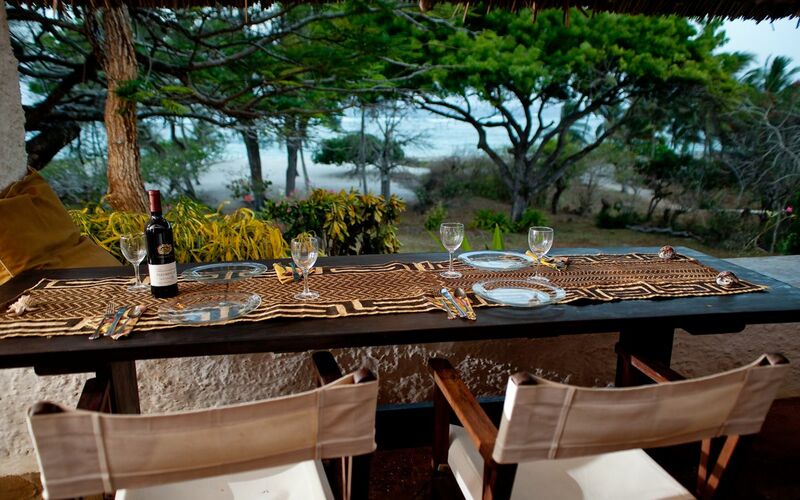 There is a huge variety of villas and cottages in our area. Have a look at some of these beautiful places below. There is certainly one to suit your budget. 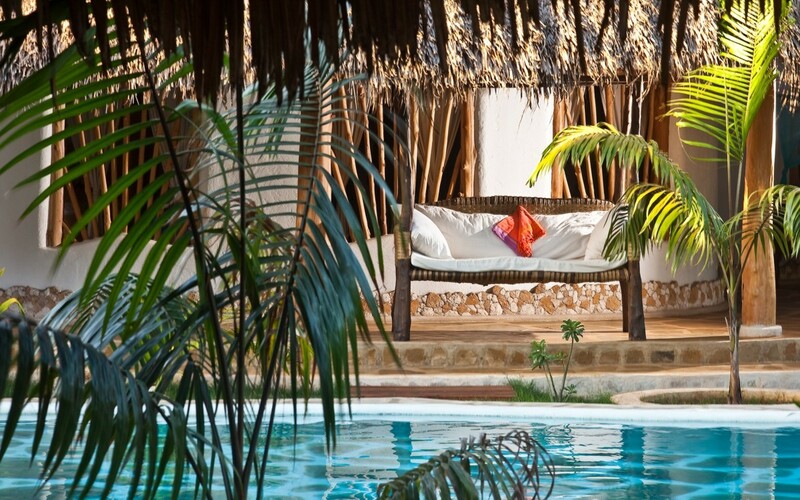 Ocean villa is horseshoe shaped around a fabulous designer pool. Each side of the horseshoe has two floors where the bedrooms are found. In the centre of the horseshoe is the central dining area. If you wish we can arrange to have all your shopping needs bought in before you arrive. All bedrooms are around the pool. 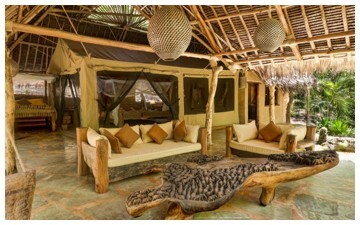 Luxury 6 meter by 5 meter thatch covered tent for two on the Keringet Estate in Tiwi. Ocean/beach plot with fabulous cliff top pool for sole use. An incredible place for that very special weekend. This accommodation is a one of a kind. Furnished completely by the renowned Funzi Furniture. En-suite bathroom and good sized kitchen. Fabulous veranda with small fountain and fish pool. Right next to the stable with 4 thoroughbred horses. Ocean views. Very romantic getaway. One of the most beautiful and elegant beach houses on the Kenya Coast. The house is a spacious family home, beautifully furnished and immaculately maintained by a highly capable staff, including an excellent chef. 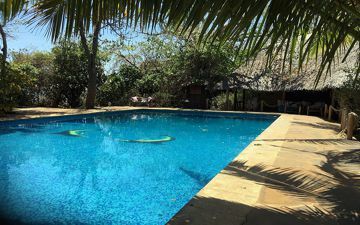 The house is located on the main stretch of Tiwi Beach where the beach and sea bottom are sandy with swimming, windsurfing and snorkeling directly in front of the house. Set in over two acres of gardens the house has three spacious bedrooms all of which face the sea. Tiwi's local fishermen bring their daily catch of snapper, kingfish, lobster, octopus, etc. and can also take orders for next day delivery of crab, calamari and shrimp. 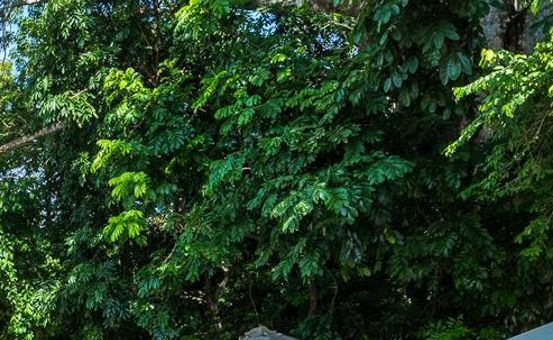 Tequila Sunrise boasts 4 acres of natural forested habitat, a haven for Colobus, Sykes & Vervet Monkeys. 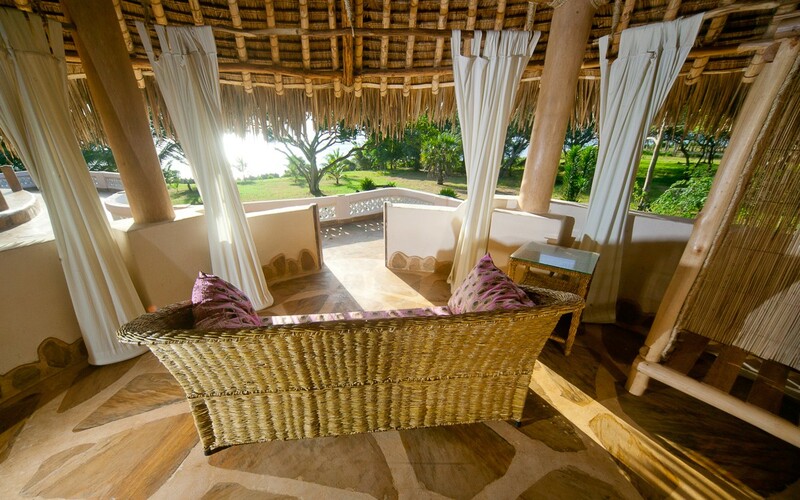 The house is surrounded by giant Baobab trees, and directly overlooks one of the top beaches in the world. 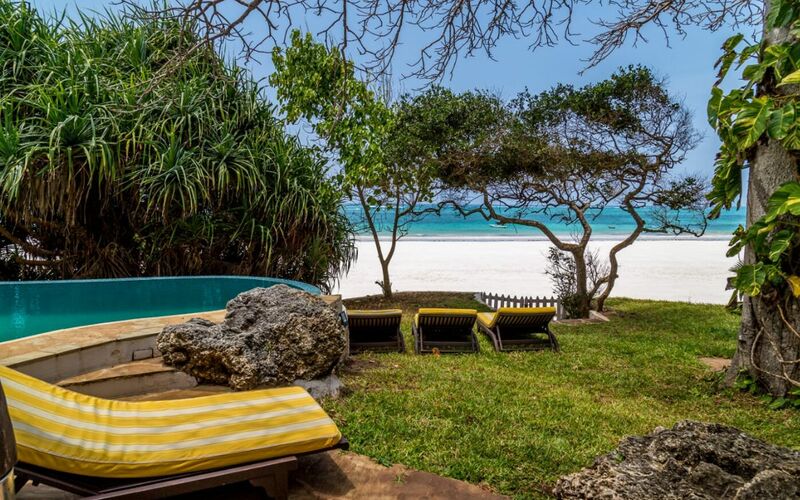 An easy stroll on the beach brings you to 3 of the top restaurants in Diani - Sails - Nomads & Lymingtons Bistro. 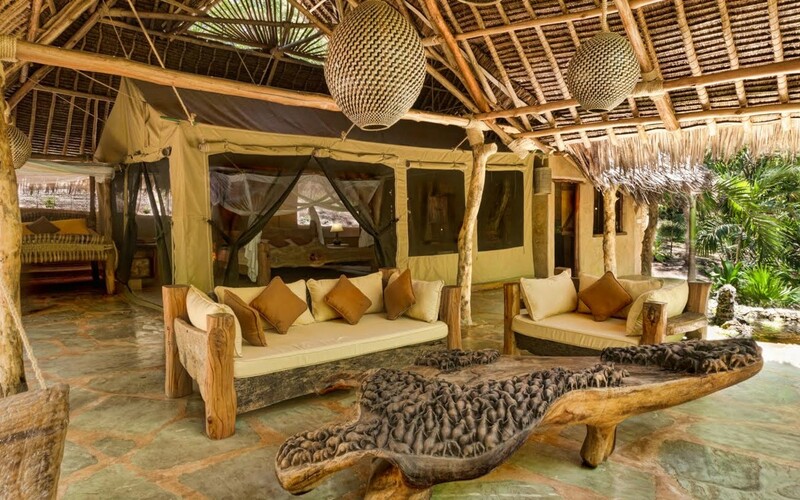 Situated within a two and a half meter security wall on 25 acres of the finest land on the south coast of Kenya. 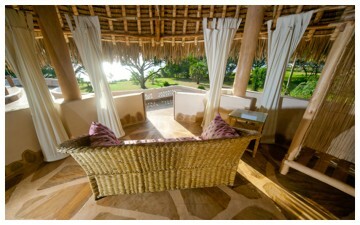 Waterside villa comprises four very large bedroom/sitting rooms. All are en-suite. Each bedroom has it's own mini kitchen with fridge and tea/coffee facilities. All four are situated around a beautiful designer swimming pool with split level waterfalls. 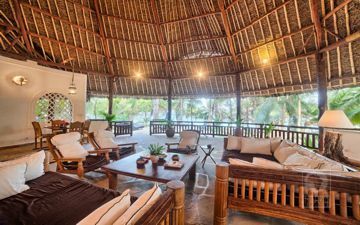 The furniture is from the famous Funzi Furniture workshops in Tiwi and the house and the interiors have been designed personally by Sabine Funk of Funzi Designs. The property has an informal restaurant/bar with full size snooker table. The restaurant straddles two 350,000 litre fresh water lakes right on the sea. Both lakes are full of Tilapia. There are secluded beaches to the immediate right and left of the cliff top. Provision is also made for helicopter landings. 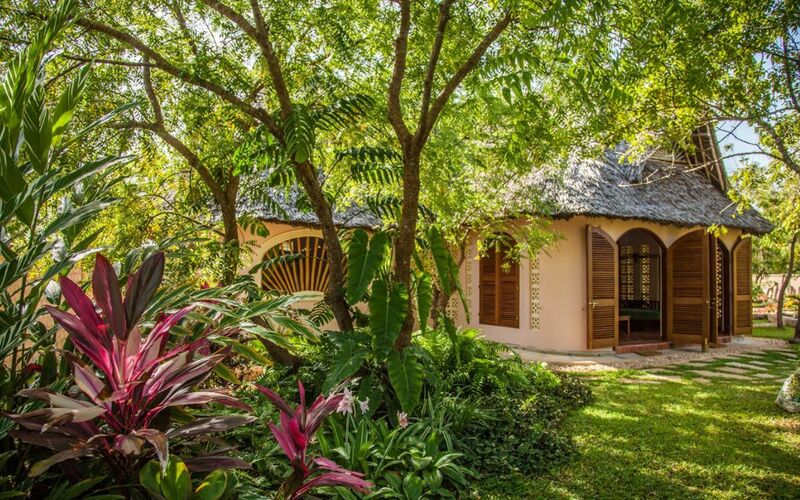 The property is heavily forested and much birdlife and wildlife are in residence. There are no dogs and no cats allowed on the grounds. Absolute luxury, absolute security. Budget accommodation in Shimoni, located in the remaining pristine Shimoni Coral Rag Forest and overlooking the Wasini Channel. Colobus monkeys are frequent visitors and several other small mammals such as the rare elephant shrew. 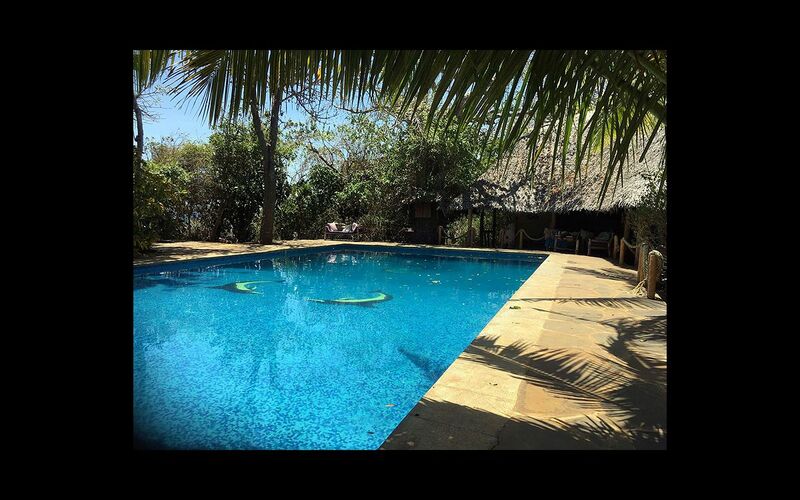 The swimming pool is surrounded by indigenous trees with plenty of bird life, a very peaceful place to relax. We have two VIP tents and also cater for those on a budget. 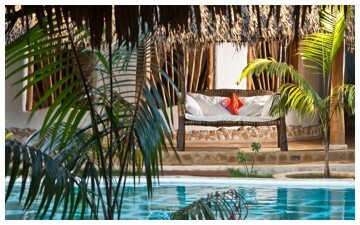 Tiwani Cottages - two beautiful self catered cottages set in a secure walled garden oasis. Each sleeps 4 people. Includes basic cook, free wifi, pool and bbq area. Tiwi beach is a 5 minute walk from the cottages. Right on the beach in the centre of Diani. 4 bedrooms. 2 fully air-conditioned and a further 2 no A/C. The kitchen has all modern conveniences, lounge with bar, veranda, dining area, breakfast patio, private garden, space for individual privacy and much more. Your house staff will take care of all your daily needs, from shopping to cleaning. A chef provides total relaxation. Enjoy a perfect location for your friends, family and kids! Up to 8 persons on request. Just check our website! Fantastic value.